There’s no place like…Mississippi! 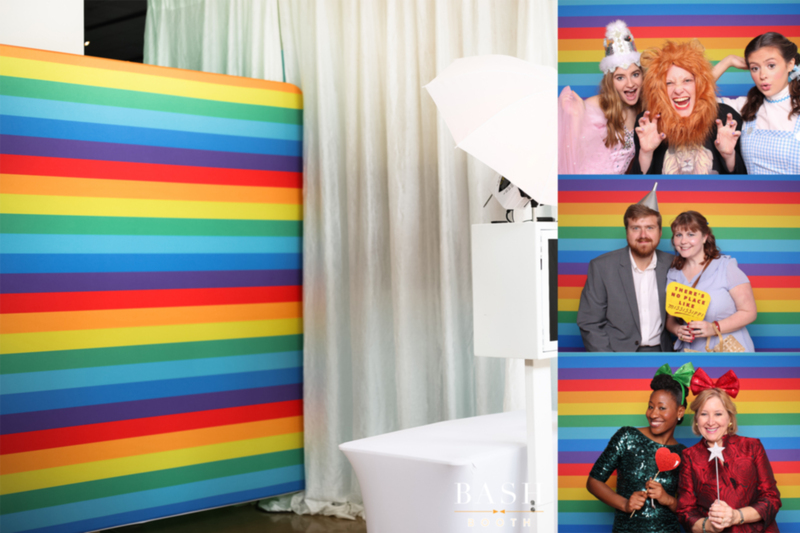 Last weekend we traveled to the heart of downtown Jackson to be a part of The Mississippi Museum of Art’s Spring Benefit! This year’s theme, “No Place Like Home,” was a celebration of the Museum’s 40-year “ruby” anniversary. Staying with the theme, their event included a yellow brick bar, an Oz-inspired hand-painted tapestry that separated the cocktail area from “Emerald City” (which was revealed to the guests after a violinist played “Somewhere Over The Rainbow”), creative hors d’oeuvres by It’s Happening (@itshappeningjxn), dessert by La Brioche Patisserie (@la_briochefondren), live music by The Vamps, and we provided the fun, themed photo booth experience — complete with a rainbow backdrop! To see the individual photos from this event, visit our Facebook page! Custom designed prints for Mississippi Museum of Art’s Spring Benefit. 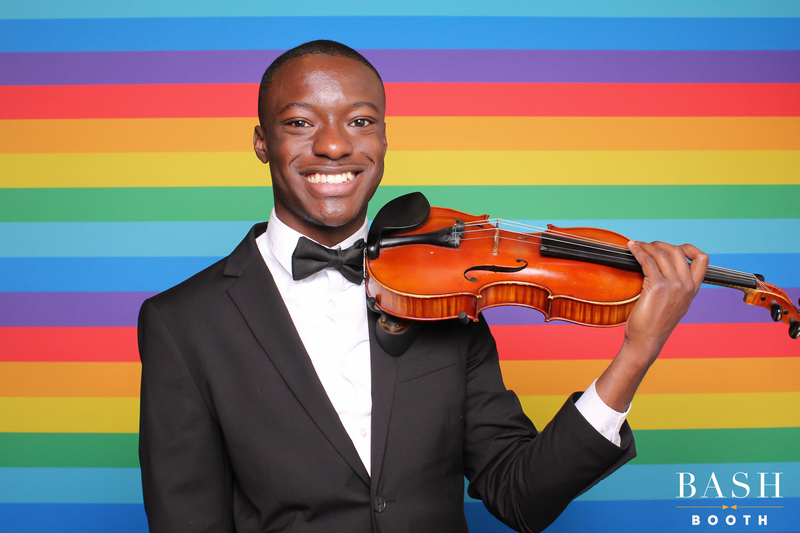 Guests were welcomed into “Emerald City” by a violinist! 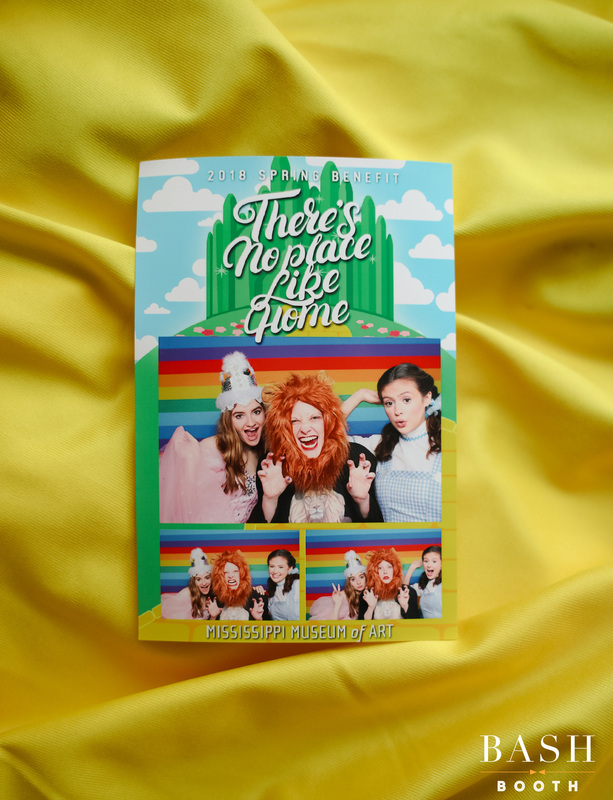 We created a custom rainbow print backdrop for their Wizard of Oz-themed event! Looking for something custom for your event? Email me your ideas sarah@bashboothrental.com and let’s start creating an unforgettable experience for your guests! This entry was posted in Corporate, Fundraiser, Party and tagged Bash Booth, Mississippi, Wizard of Oz. Bookmark the permalink.